HILLBILLY-RESEARCHER: RUSTY McDONALD - Something Different! RUSTY McDONALD - Something Different! 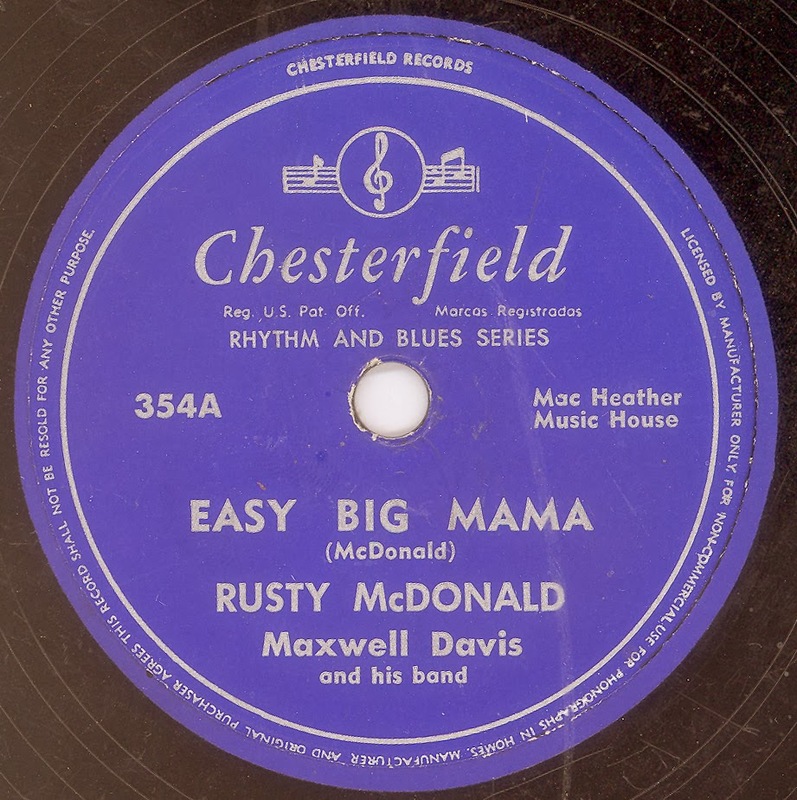 This offering by Rusty McDonald, from late 1954 or early 1955, is something of an enigma. What was Virginia Richmond (the label owner) trying to archive with these recordings? Obviously McDonald, who is credited as writing both songs, crafted the material to be aimed at the R&B market,. 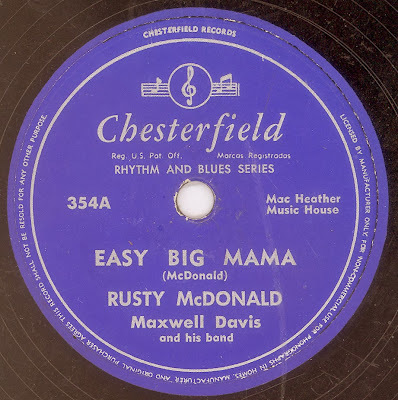 there was no attempt at trying to fuse R&B with Hillbilly / Western Swing, Whilst Rusty McDonald's performance is exemplary, however, in the final analysis McDonald was just another vocalist fronting Maxwell Davis' band. 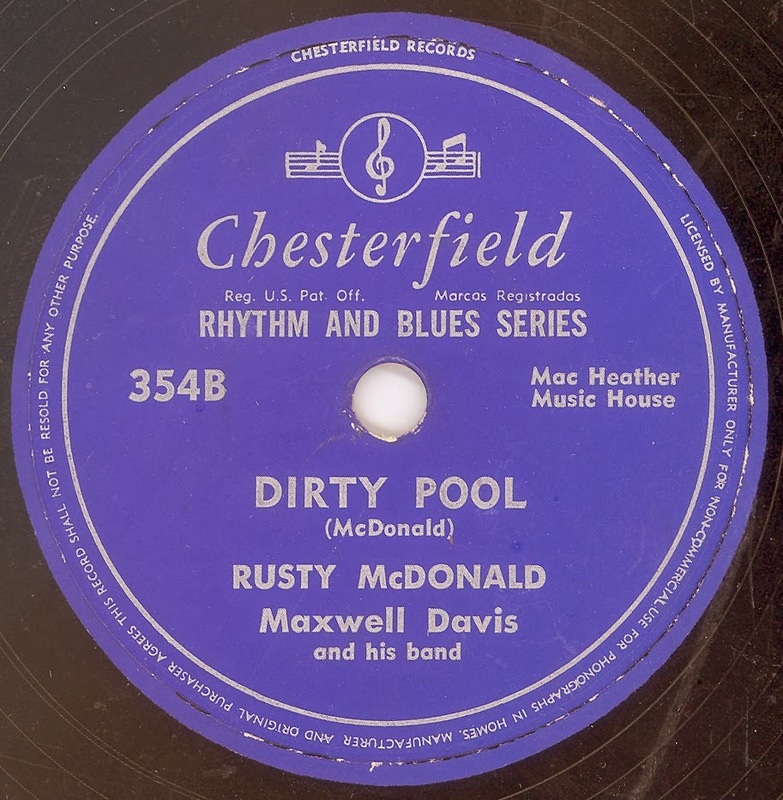 That statement is not meant to demean either McDonald, or Maxwell Davis and his band, it's just that to be brutally honest, it could be anyone of a number of vocalists black or white fronting the band. Nevertheless a nice R&B outing by a Western Swing vocalist.